One of the best parts about owning a home within Reunion Resort is the benefit of the very well run HOA. Depending upon your property type and location, the costs do vary slightly, and owners may additionally choose to ‘opt out’ of the HOA pool cleaning service, with the benefit of a reduction in the monthly HOA dues. 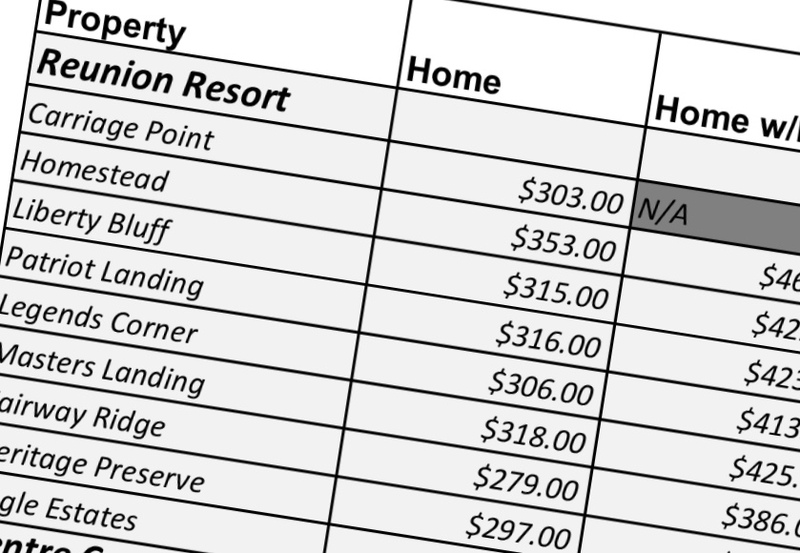 What’s included in Reunion Resort’s HOA? The information provided is offered in good faith and every effort is made to provide accurate information. We cannot accept liability for errors or changes and recommend that all owners seek an up to date HOA information pack directly from the Reunion Resort HOA. The Strength of Reunion Resort’s HOA is Adding 20% to Your Home read more..
Next Reunion Resort’s Homeowners’ Association Success Means 20% to You!